Thanks for confirming for Bxponential. Your priority ticket has been secured. Please check your email for confirmation and further information. Stay Late – if you meet someone who interests you see if they can stay back for a coffee and chat, or make times with people to stay back after the next meeting. Help the Team – if you are there early or hanging back ask the team/organiser if there is anything you can do to help, you will be adding value to them and you never know where the talks you have end up. Ditch the Pitch – if you tend to use the same pitch every time try something different. Consider using humour or some element that reflects you, risk being a bit zany. Ask people for feedback and keep changing and refining it. Develop Interesting Anwsers to the ‘What do you do?” Question – don’t just go into the details of what you do, people don’t really want to know. They want to know if you are worth them spending time to get to know you, so give them something interesting eg a Bookkeeper might answer, “I help people sleep at night” . . . . “How?” . . . “by making sure their books are balanced, they have the reports they need to mange their business and ensuring their BAS is in on time”. Get people asking you questions. Play with it and have a few cheeky answers for less formal gatherings. One I use is “I run a speed dating service for small business owners’ – much more interesting than saying I run a networking group. Stepping out of your comfort zone is all about taking small steps. Manage your anxiety by setting small goals and challenges you can take on at your network meetings. You’ll find your nervousness and anxiety will get less and your confidence will increase. Stepping out of your networking comfort zone will positively benefit not just your networking but your sales and business in general. 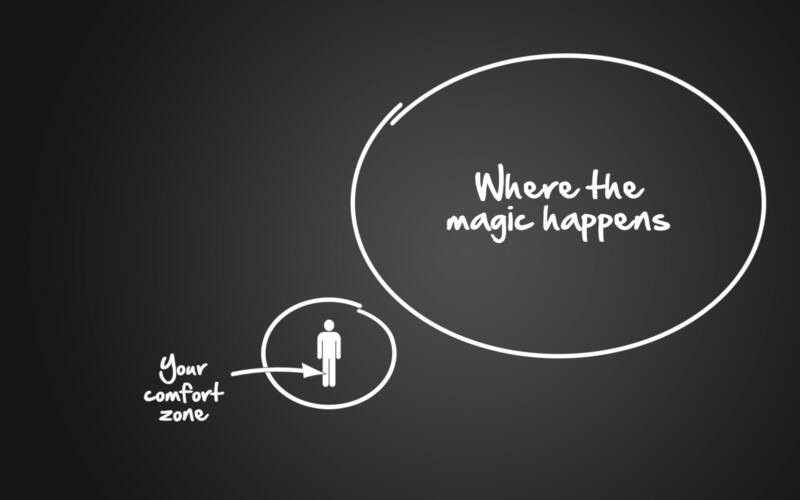 If you are having trouble stepping out of your comfort zone speak to us about how we can help you develop some strategies, ease your anxiety and build your confidence. Wondering if you should be Networking this Year? 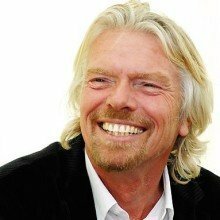 Check out why Richard Branson thinks why succeeding in business is all about making connections and why he wants all his staff skilled in the ways of networking . . .
“For an entrepreneur, the ability to forge connections is a great asset. When you’re conducting business in a field where you don’t have specialist expertise, it’s often the only way to get a job done right. When our team at Virgin wanted to go to space, I looked for the best engineer in the world to help us build a spaceship. Once we’d connected with Burt Rutan, creator of the revolutionary SpaceShipOne, we were able to get to work on creating Virgin Galactic,”entrepreneur.com blog. 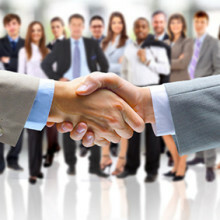 small business networking regularly exposes you to people who have skills, experience and ideas that will benefit you. Many small businesses partner with the people they need to fill the gaps in their organisation, this is how Branson has managed to build so many different business groups. Business is all about personal contact. It is difficult to build trust based relationships with people you have never met, especially when you want to engage or partner with them in deals of significance. This rich networking ability has been a constant feature in the history of Virgin, with the group’s oldest and youngest businesses all benefiting from a swift ability for employees to forge strong working relationships. focus on relationships not sales. As you network the relationships you build will generate opportunities you never considered or thought possible. Get out and press the flesh – emails and texting have their place but there is no substitute for sitting down an having a coffee with someone. You’ll very quickly work out if you are on the same page in terms of business and values and if it is worth investing more time to develop a relationship. Richard Branson is unusual in that he has built an empire of multiple businesses – music, airlines, finance, gyms etc. This is because he because he is an avid networker and has been able to connect people and leverage their desires and goals for all their benefit. New Year, New Ideas . . . New Frustrations? I’ve never heard of a business that failed because of a lack of ideas, in fact it is mostly the opposite, business owners have lots of great ideas but fail to implement them. 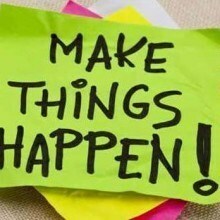 One of the big frustrations I see with business owners is their inability to put their great ideas into action. Talk to them about how their business is going and they are so so, but ask them what plans they have for the future and you see their eyes brighten and their energy increases as they begin to talk about the great ideas they have. We all need to have an eye on the future and pursue great ideas because they give us hope and drive us forward. The problem comes when people have the ideas but don’t manage to implement them, that’s when businesses fail. So why it is so hard for entrepreneurs to implement their great ideas? As the leader in the business you need to focus your time on what really matters. Too many entrepreneurs find themselves busy dealing with urgent and important matters that absorb most of their time, energy and focus. These activities keep the business ticking over but they also distract them from being able to work on and implement the great ideas they have which will actually move the business forward. By narrowing your focus and concentrating on less but more important ideas, you’ll end up accomplishing more. Work on the actions that leverage you toward your goal not the goal itself. Most people focus on the primary goal eg 20% more sales per quarter and they keep their eye on the numbers which creates stress and anxiety. The better way is to focus and work on the activities that lead to more sales eg phonecalls, door knocks, flyers delivered etc. These actions are predictive – e.g. if I make 100 phone calls I’ll make 20 appointments and get 4 sales. You can influence these actions (phonecalls) so it is better to invest energy on these secondary goals as they will enable you to achieve your primary goal. The trick is identifying and tweaking these secondary goals. When you spend a lot of your time, energy and focus on the day to day chores of running your business it wears you down. There are never enough hours in the day, your To Do list keeps piling up and after awhile you are tired and worn out. As the leader you need to be driving your business with a passion that inspires engagement and commitment from your staff, suppliers, clients, and yourself. You can have the best plans and the most well laid out strategies but if you don’t have some form of accountability structure then it is unlikely you’ll have the follow through to execute your great plans. Studies show when teams have strong accountability structures engagement and performance increases. The same for you the owner, when you are accountable your engagement in your business and your leadership role increases, your performance increases, you get more done and your business moves forward. The problem is most small business owners are not accountable to anyone. Accountability is the most crucial because it keeps you on track and enables focus for the other three. This is especially true for small business owners who, unlike larger organisations, rarely have systems of accountability in place. A large organisation has a Board and shareholders to keep the CEO accountable whereas the small business owner only has herself or himself, which explains so many small businesses fail to grow and many just fail. What Accountability Options Are There? At the Real Biz we see a lot of micro business owners (0-4 employees) who don’t need more ideas, more strategies or more plans, they just need to get the ideas they already have implemented. They don’t really need a coach or mastermind group, they just need some accountability structures to keep them on track so they can get things done. That’s why we have created some low cost, action oriented accountability groups to keep business owners focused and on track so they can execute, achieve and grow. Small Business owners (5+ employees) have different challenges – they have loans, rents, leases, payroll and other financial obligations which force a degree of accountability. For them the focus needs to be on systems as well as accountability because efficiency and scalability is key for these businesses. We have groups to help you grow in these areas as well. So the message is clear, if you want to achieve in your business this year you need to put yourself in a place of accountability otherwise you’ll be at the start of 2017 looking back making excuses for why things never happened and wondering, “if only I had done this and that”. You need to be accountable, you can make excuses like, “I don’t have time” or “I can’t afford it” but at the end of the day you will have excuses or results, you can’t have both. Networking is both an art and a science. There are elements that require creativity (art) and elements that depend on techniques and principles. For example, following up is essential (principle), as is being able to connect with people and inspire trust (art). Both require training and practice yet many people expect to rock up to an event and be a networking pro from day one. This inevitably leads to disappointment when they don’t get the results they were hoping for, so how can you make the most of your networking in 2016? Maximise your time – make appointments before and after the meetings, you spend time driving their so use it effectively. Prepare 2-3 pitches for the different contexts you encounter eg., 20 second intro, 1 minute intro, formal, informal. Focus on educating the members about the . . .
how to find out more eg flyers on table, have a 1-to-1, coffee chat, website, email etc. Be prepared – have your business cards, badge, flyers, banner, notebook and pen etc prepared the evening before. Bring a positive, friendly outgoing disposition. If you are having a bad day or in a funk then before you go into the meeting take a moment to get your head in the business networking game, brush off the negative and take on a positive mindset. You do need to be real but you also need to be someone that people want to do business with and tell their colleagues about. Coffee Chats – most business happens outside the networking meetings so make sure you have booked 1-2 coffee chats with people you have met. These are a great opportunity to get to know people more and learn about their business. Contact the names people have passed onto you. Other – maybe you need to talk to one of your contacts about some ideas one of your fellow networkers had, or someone mentioned a product or service that you might be interested in. Follow up and feedback. There are many more elements involved in being an effective networker but these will help you get 2016 off to a great start. Don’t be afraid to reach out for help either, most networking leaders are open and willing to help people and point them in the right direction.